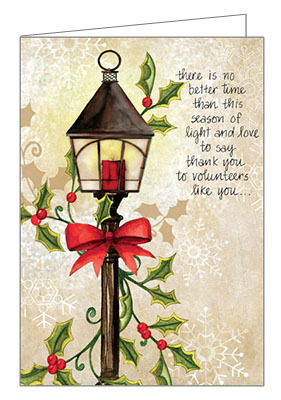 Volunteer Christmas Cards| Merry Christmas Volunteers! Send your clients, colleagues, and hard-working volunteers a special Thanksgiving or Christmas card and brighten their holiday season. These beautiful designs and heart-warming messages are sure to show them they are appreciated. We are happy to offer special volunteer Thanksgiving and Christmas cards from it takes two. Order today!